If you were a gamer in the 90s, you probably dropped more than a handful of quarters into either a Street Fighter 2 machine or a Mortal Kombat machine. Those two games were the big arcade fighters of the time, and most gamers picked sides between the fast action and deadly precision of Street Fighter 2 or the digitized graphics and over-the-top violence that came in the form of “Finishing Moves” in Mortal Kombat. Amazingly, nearly two decades later, that rivalry still exists, albeit to a much smaller degree. Just last year, Capcom showed that fighting games could indeed work on the iPhone with their port of the hugely popular Street Fighter 4. 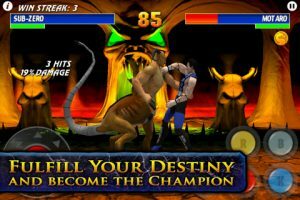 Now, Electronic Arts is bringing the opposition in the form of Ultimate Mortal Kombat 3, complete with classic characters, arenas, and -of course – finishing moves. 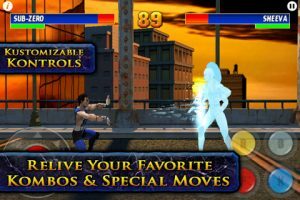 So the question is: does Ultimate Mortal Kombat 3 do as good a job representing the franchise on the iPhone as Street Fighter IV? The short answer is no. In fact, it fails quite miserably. The problems are many, but let’s start with the biggie: controls. While Capcom did a brilliant job of simplifying the button configuration for Street Fighter IV in order to make it a game better suited for iPhone (a game console containing no buttons), UMK3 is content to simply place virtual buttons on the screen and ask gamers to pull off complex moves with no tactile feedback. Now, that’s not to say it’s all bad. The developers added a nice feature which allows players to edit the button configuration and move the virtual buttons anywhere on the screen. Want your Low Kick button in the bottom corner? Fine. Would you like your Block button in the middle of the screen? Go ahead. Unfortunately, despite this nice customization feature, the game still feels incredibly unresponsive and inaccurate. Fighting games require spot-on precision in order to perform combos, special moves, and the signature of the franchise: finishing moves. I never felt in total control of UMK3 on iPhone, and that essentially breaks the game. Multiple modes are offered in Ultimate Mortal Kombat 3. The standard Arcade Mode lets you pick a fighter and battle your way to victory, while Survival Mode gives you one fighter and a never-ending string of opponents. Finally, there’s Shao Karnage, a mode where you’ll battle a relentless Shao Kahn for 99 seconds, trying to land as many hits as possible. With most gaming franchises, I could offer the disclaimer that fans of the series may still be interested in the game, despite all its faults. However, Ultimate Mortal Kombat 3 offers little in the way of fan service. 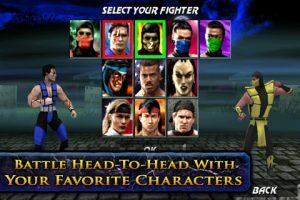 The digitized characters found in early Mortal Kombat games as well as other ports of Ultimate Mortal Kombat 3 have been replaced with 3D animated characters, removing a major staple of the classic games. 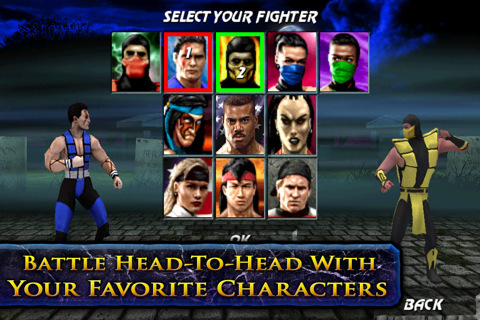 Furthermore, only thirteen characters are present in this version, nearly half of what was included in the original game. Bottom Line: Ultimate Mortal Kombat 3 is overpriced at $6.99, offering even die-hard fans of the series little incentive to make the purchase. Ultimate Mortal Kombat 3 is compatible with iPhone, iPod touch, and iPad. Requires iOS 3.0 or later.